If you’re not a fan of Christmas music, this is probably going to be a tough month for you around these parts. This time of year, Christmas music floods our senses from every imaginable angle. TV commercials, stores, restaurants, movie trailers, that certain co-worker’s crappy desk radio and at least 85% of the cars on the road are bubbling over with peace on earth, goodwill to men and far too many creepy covers of “Baby, It’s Cold Outside.” Therefore, NoiseTrade would like to help out by sifting through all the lousy socks and underwear for you and help you find your very own Red Ryder carbine-action, two hundred shot Range Model air rifle with a compass in the stock and a thing which tells time. You can trust us. We’re certified Christmas music professionals here and we’ve got all the classics, all the Advent hymns, all the A Very Special Christmas compilations and Christmas In The Stars: A Star Wars Christmas Album to prove it. We promise to do our best not to lead you astray. However, if we recommend something you don’t end up liking, as always we’ll refund your mouse click, no questions asked. So, let’s kick off the “Christmas at NoiseTrade” season right, shall we? 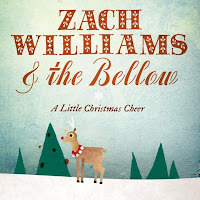 NoiseTrade favorites Zach Williams and The Bellow have just released a great holiday EP called A Little Christmas Cheer. 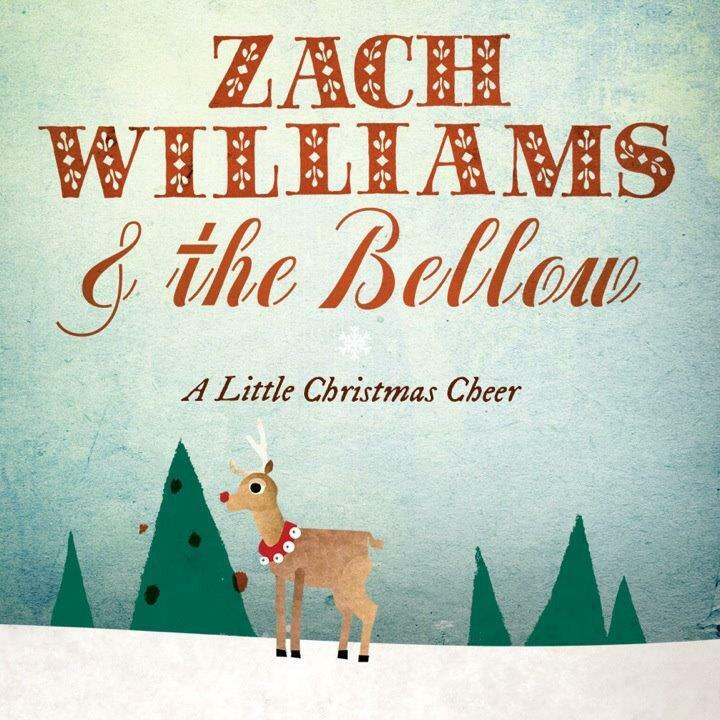 Zach’s powerful voice and The Bellow’s unique brand of Brooklyn country combine to create a really cool vibe throughout the 4 tracks. For a Christmas album, their song selection is refreshingly varied as well. They kick things off with the cheerful shuffle of “Marshmallow World.” This song’s been around since the 1940’s, but most folks know the Darlene Love version from A Christmas Gift for You from Phillies Records (or from Phil Spector, depending on who you ask). Zach’s easy, folksy take on it will have your toes tapping in no time. Their holiday hoedown covers of Red Simpson’s “Trucking Trees For Christmas” and the Dolly Parton/Kenny Rogers duet “I Believe In Santa Claus” show that these guys are serious about the country side of Brooklyn country. Acoustic guitar, banjo and three part harmonies create a sound that just begs you to sing along. They also have a gorgeous version of the hymn “It Came Upon A Midnight Clear” with Kanene Pipkin taking the lead. Kanene’s smoky vocal blends with a smooth pedal steel in a way that really captures the peaceful mood of the lyrics perfectly. A Little Christmas Cheer is fun, festive and reflective and it will definitely nudge you into the Christmas spirit if you’re not there already.